ASX-listed Lantern Hotel Group is set to test the Queensland regional market, with plans to off-load the Central Hotel in Bundaberg. CBRE Hotels’ Daniel Dragicevich, Glenn Price and Paul Fraser have been appointed to sell the prominent hotel via an Expressions of Interest campaign. The listing follows a flurry of transaction activity for Lantern, with the group recently placing the Cairns Courthouse Hotel on the market, in addition to transacting three successful hotel deals over the past nine months. 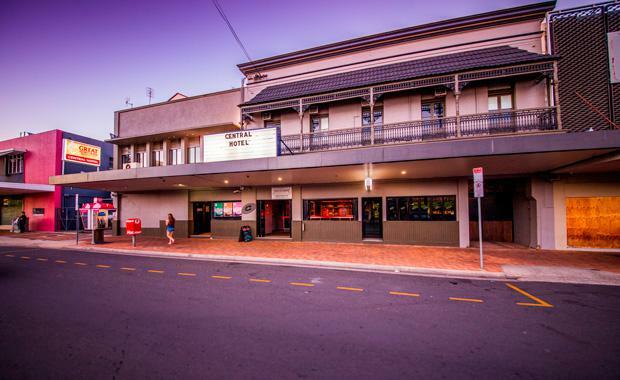 Lantern Chief Executive Officer John Osborne said the move to sell the Central Hotel in Bundaberg was in line with the firm’s strategy to divest non-core assets and focus on its NSW portfolio. “The Central Hotel has been a passive investment for Lantern and is subsequently superfluous to our current business model,” Mr Osborne explained. The Central Hotel is being offered as a going concern, including both the business and property components. Located on a significant 1,017 sqm landholding in the Bundaberg CBD, the property offers 25metres’ frontage to Targo Street and is operated under a 3am liquor license. The hotel also includes 14 Gaming Machine Authorities. “We believe the market will see plenty of potential in the asset. The hotel’s underpinned trade allows for a foundation to be built upon and strategic CAPEX investment into areas such as the gaming room and the unused upper level of the hotel, will diversify the current mix of trade,” Mr Price said. The Central Hotel will be sold by way of an Expression of Interest process concluding Thursday 14th July 2016.